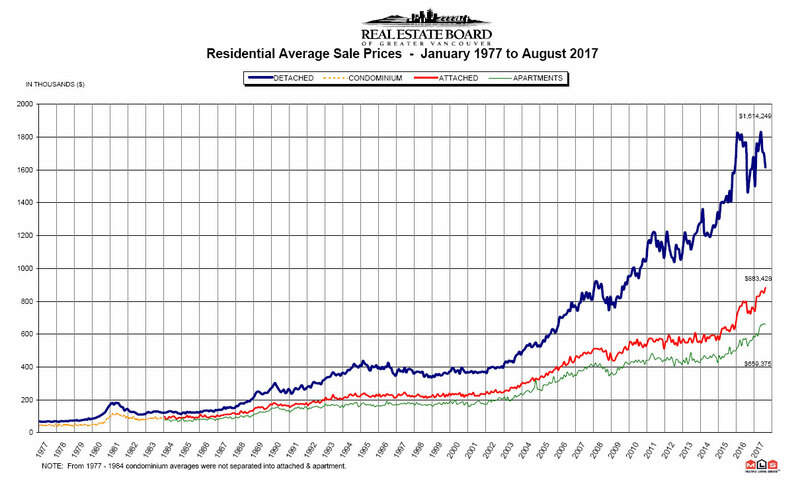 VANCOUVER, BC – September 5, 2017 – Competition for condominiums and townhomes pushed Metro Vancouver* home sales above typical levels in August. "First-time home buyers have led a surge this summer in demand in our condominium and townhome markets," Jill Oudil, REBGV president said. "Homes priced between $350,000 and $750,000 have been subject to intense competition and multiple offers across the region." There were 4,245 detached, attached and apartment properties newly listed for sale on the Multiple Listing Service® (MLS® ) in Metro Vancouver in August 2017. This represents a 1.1 per cent decrease compared to the 4,293 homes listed in August 2016 and a 19.2 per cent decrease compared to July 2017 when 5,256 homes were listed. "Conditions in our detached home market are distinct today from the dynamic in our condominium and townhome markets," Oudil said. "Detached homes have entered a balanced market. This means there's less upward pressure on prices and that buyers have more selection to choose from and more time to make their decisions." *Editor’s Note: Areas covered by the Real Estate Board of Greater Vancouver include: Whistler, Sunshine Coast, Squamish, West Vancouver, North Vancouver, Vancouver, Burnaby, New Westminster, Richmond, Port Moody, Port Coquitlam, Coquitlam, Pitt Meadows, Maple Ridge, and South Delta. The real estate industry is a key economic driver in British Columbia. In 2016, 39,943 homes changed ownership in the Board’s area, generating $2.5 billion in economic spin-off activity and an estimated 17,600 jobs. The total dollar value of residential sales transacted through the MLS® system in Greater Vancouver totalled $40 billion in 2016. The Real Estate Board of Greater Vancouver is an association representing more than 13,500 REALTORS® and their companies. The Board provides a variety of member services, including the Multiple Listing Service® . For more information on real estate, statistics, and buying or selling a home, contact a local REALTOR® or visit www.rebgv.org.